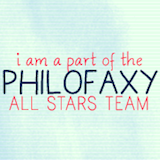 Please take a minute to read my slightly manic Philofaxy post from one year ago today, It's That Time of Year Again!! 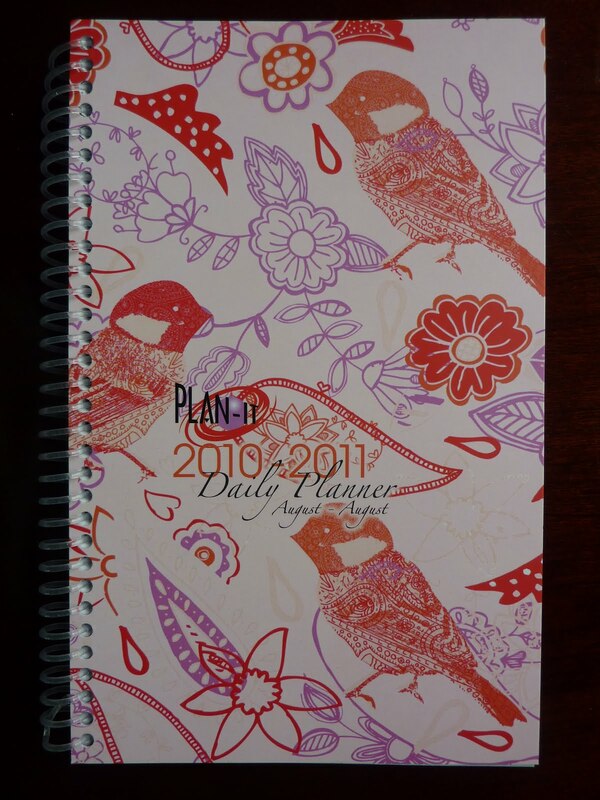 In it I express my excitement about the plethora of planners available this time of year, ask readers about their own planner setup, hope for my own Planner Nirvana, and tell a funny story about my pet hermit crab. 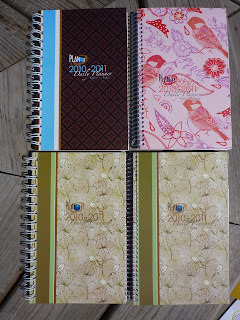 A special shout-out and bigtime Thank You to those of you who commented on this post last year and who are STILL reading my planner ramblings an entire year later. You're awesome! Thanks for sticking by my side. 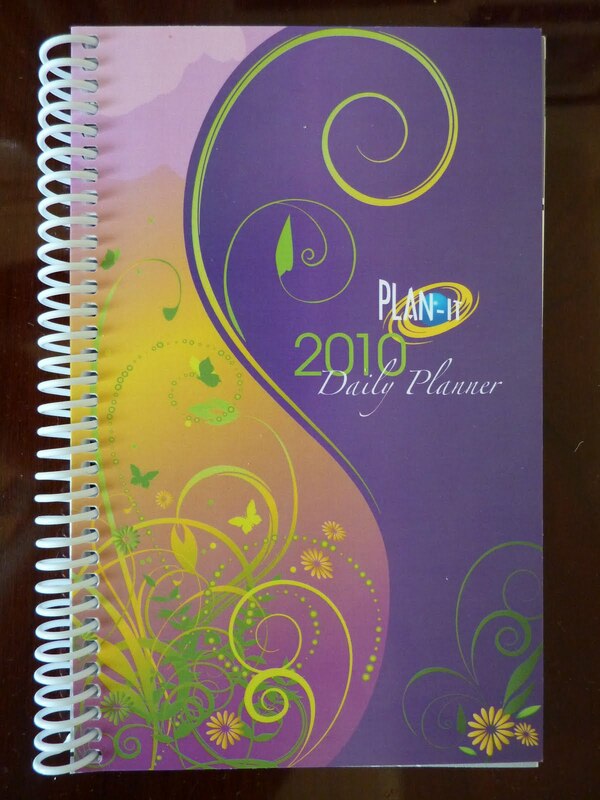 Maybe together we can reach Planner Nirvana! 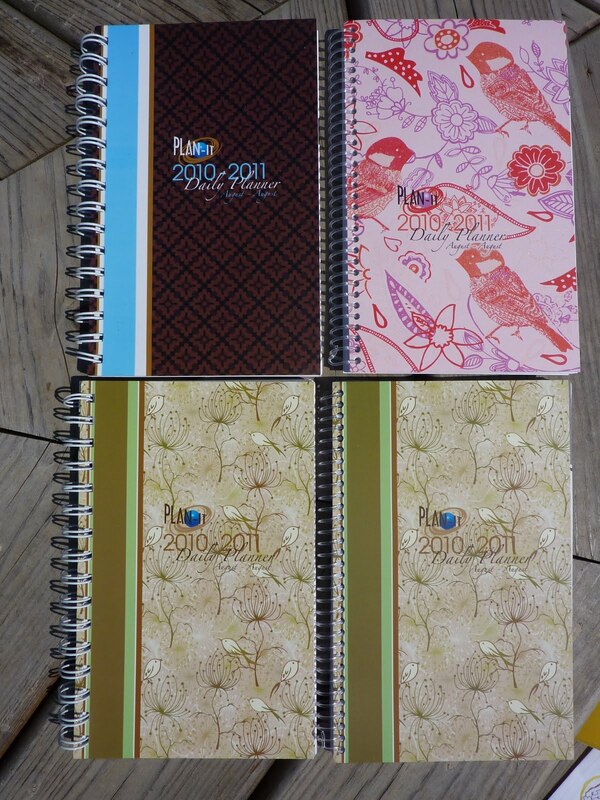 What's different about your current planner setup than what you were using last year? Is it the same? Or is it radically different? 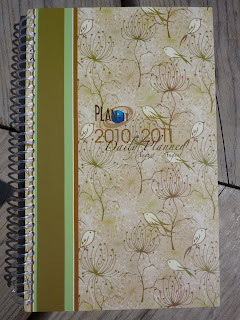 Do you feel you have achieved Planner Nirvana, or like so many of us, are you still searching? Shortly after our daughter was born, my husband and I were walking with her (baby securely wrapped on me in the sling) around our neighborhood on Capitol Hill in DC. We lived in an apartment the size of a shoebox just so we could be in that beautiful neighborhood with the big expensive houses and historic buildings. As we strolled along, we came up to two city worker men who were repairing the sidewalk. Just then, a very fit woman jogged by pushing her baby in a jogging stroller. Clearly impressed with her multi-tasking, one of the men said, "She's running WITH the baby." And the other man said, "Gettin' it DONE." Ever since, this has been my and my husband's favorite phrase for accomplishing what we need to, even in less than ideal circumstances. 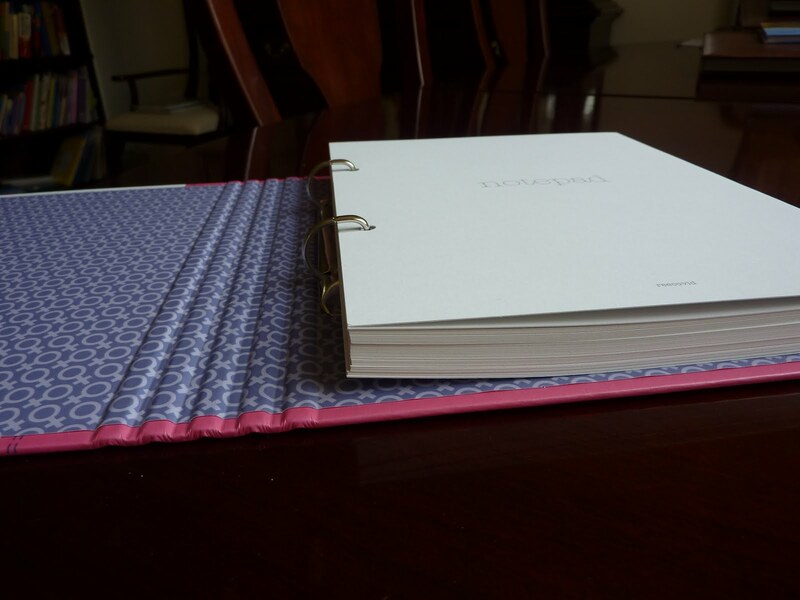 Well my friends, I am happy to report that I am Gettin' It DONE. 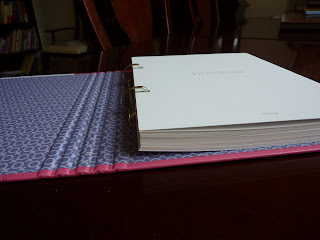 You may have seen my comment on Yvotchka's excellent article What's A Girl TO DO about my recent planner "crash-and-burn Epic Fail crap-tastrophe." I had been using my Moleskine weekly notebook as my planner, because I needed the notes page for my weekly lists. As my move gets closer, I have certain things I need to do each week to prepare. 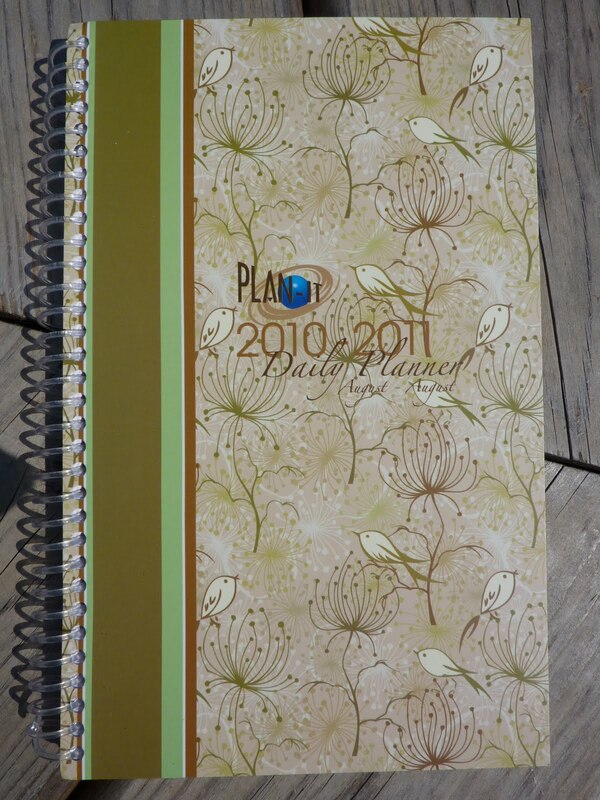 But to be honest, I've hardly been using my Mole WN at all, and barely even looking at it (which we all know is Planner Death). 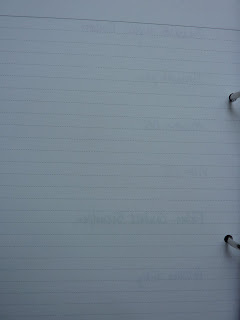 The day spaces are too small to write in everything I need to do each day. The weekly notes pages were the only useful thing about it, but that wasn't enough for me. 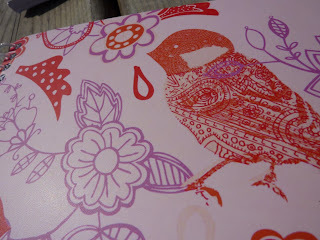 But then, other situations made me realize I really need to be using my Filofax. Perfect example: earlier this week we all had our leaving-post medical exams. I brought my Mole. Big mistake. 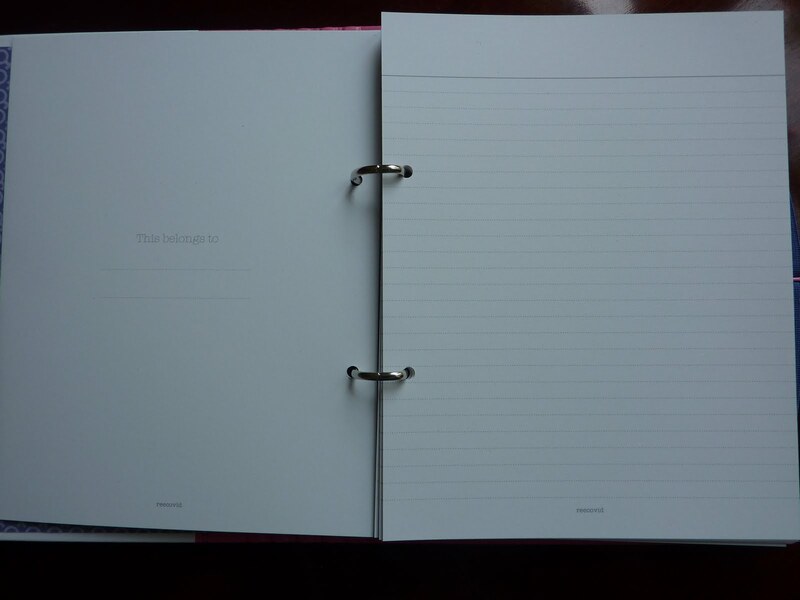 The entire time, I needed my Filofax over and over again. 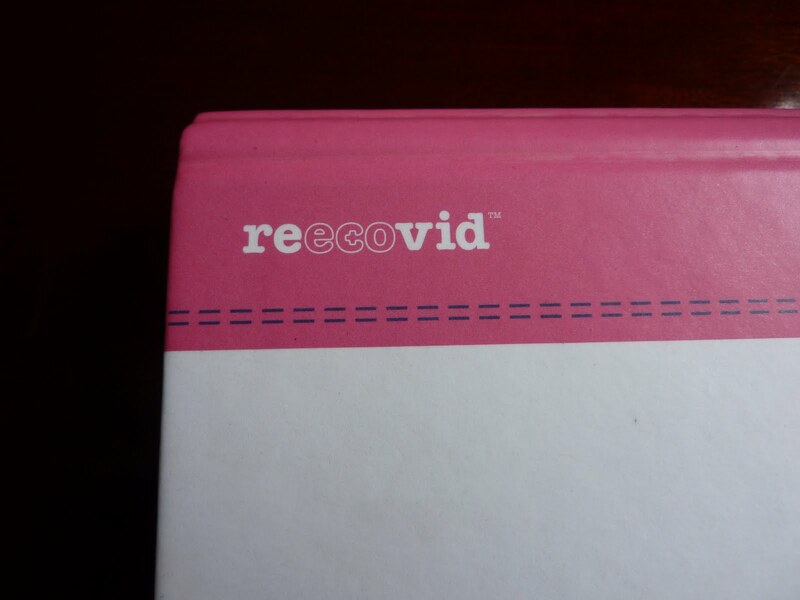 Filling out paperwork: when did this happen? 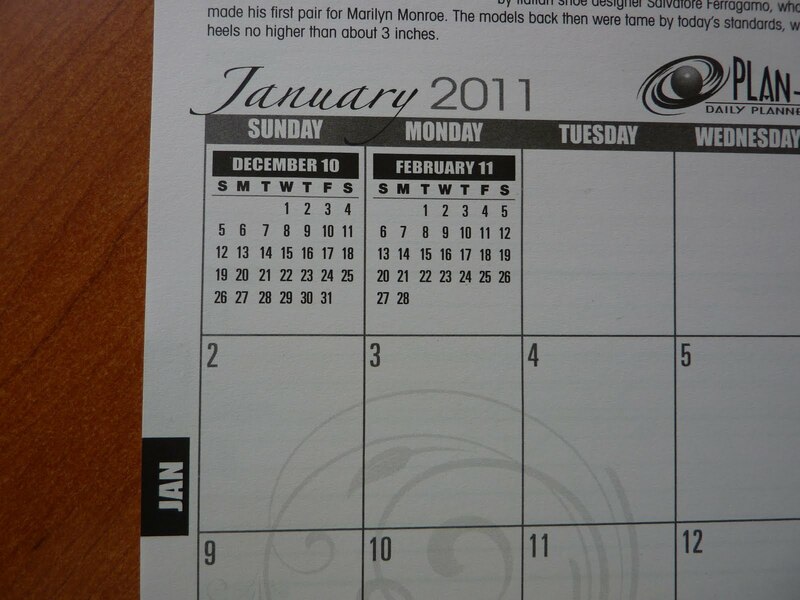 What were these dates? Since my Mole just started at the beginning of this month, I don't have a record of any previous months. It took some major remembering and back-counting to figure out dates. 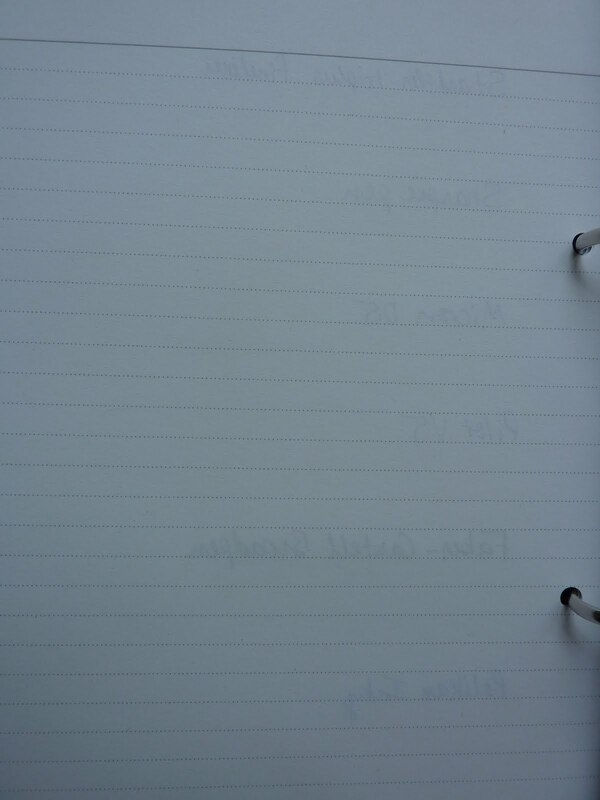 Then during the exams I had to jot notes, weights, and follow-up questions randomly on my weekly notes page. 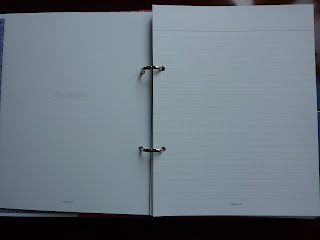 If only I'd had my Filofax, I could have created a new Medical page for each of us, with all of this information instantly consolidated and filed in the correct tabbed section for future reference. 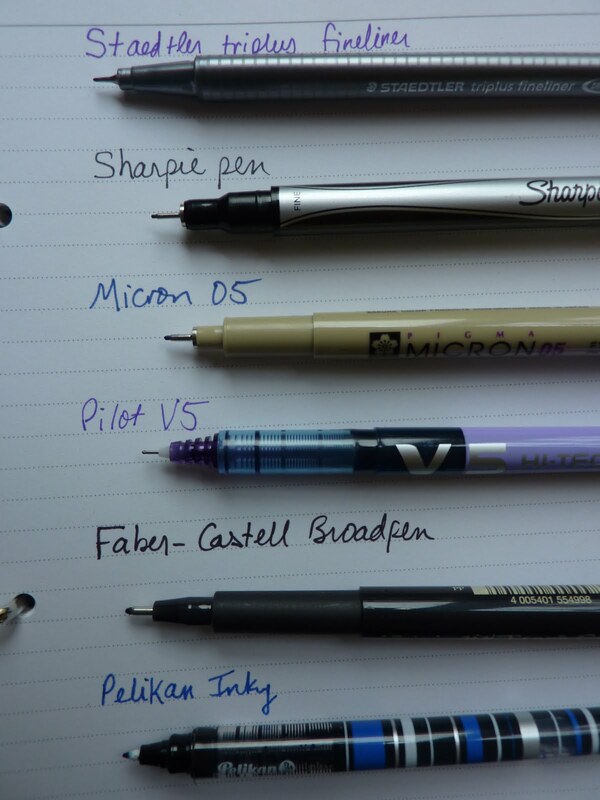 As it is, I have to re-copy my scrawled notes and hope I get it right. 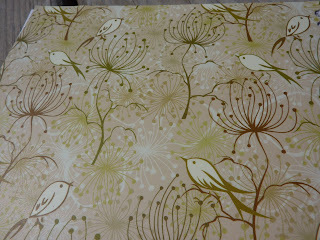 So, fed up with the whole thing, I started over. I opened up a new page in my large Noteletts notebook and used an entire two-page spread to write every single thing I need to do before our move. Big tasks and small, timed and untimed. I did a Brain Dump and got it all out there in front of me. 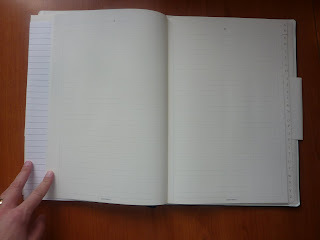 Now with this information to work with, I can figure out what needs to be done and when, and write it into my day spaces accordingly. In my Filofax. Will this system work for me in the long run? I don't know and honestly I don't care. I switch my system around so often I can't be bothered to think about what will work for me long-term. And after I've moved, my circumstances will be different anyway, so who knows what will work for me best then? Right now I need to do what works for me right now. 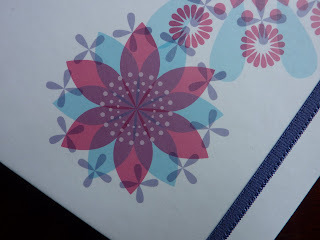 WeekDate planners look so unique and interesting, I just have to talk about them! 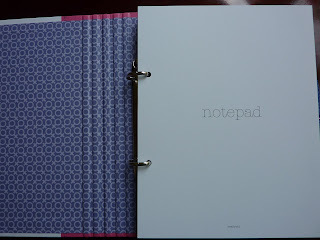 To clarify: I don't have one of these in my possession, so I can only show you images and links from their website. 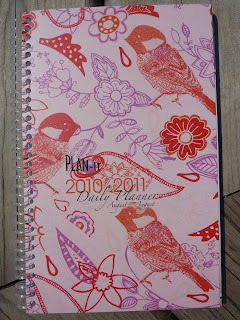 But I can't resist discussing all the possibilities for a planner like this. WeekDate's layout is one I've never seen before. Their concept is, "Only Write It Once." Click here to see the details of How it Works, but here is the basic concept: you only write your recurring events ONCE, instead of re-writing them every week. 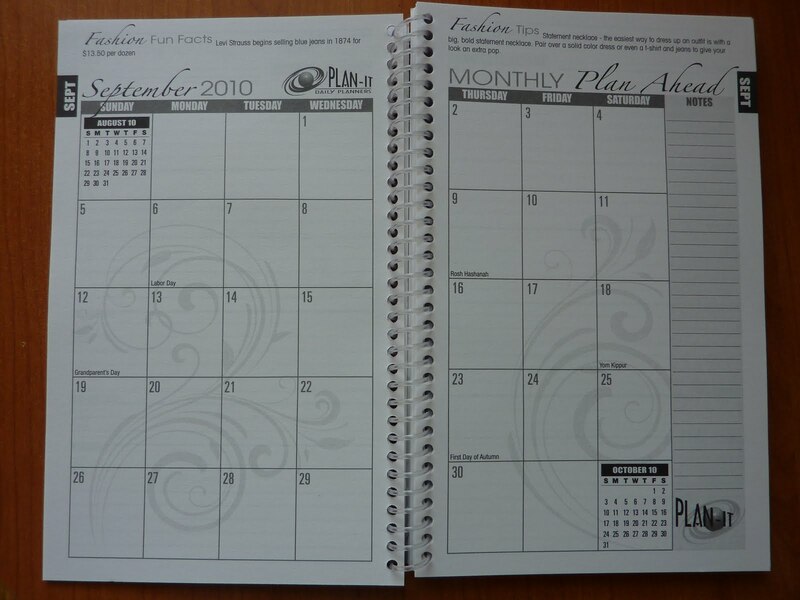 The top portion of the planner has space to write your monthly recurring events. 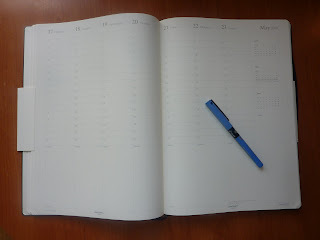 It's color coded to the weeks (more on that in a mo) so that you can see at a glance if today is your management meeting that happens the last Thursday of each month, your book club that meets the second Wednesday of each month, or your rent that's due the first of each month. 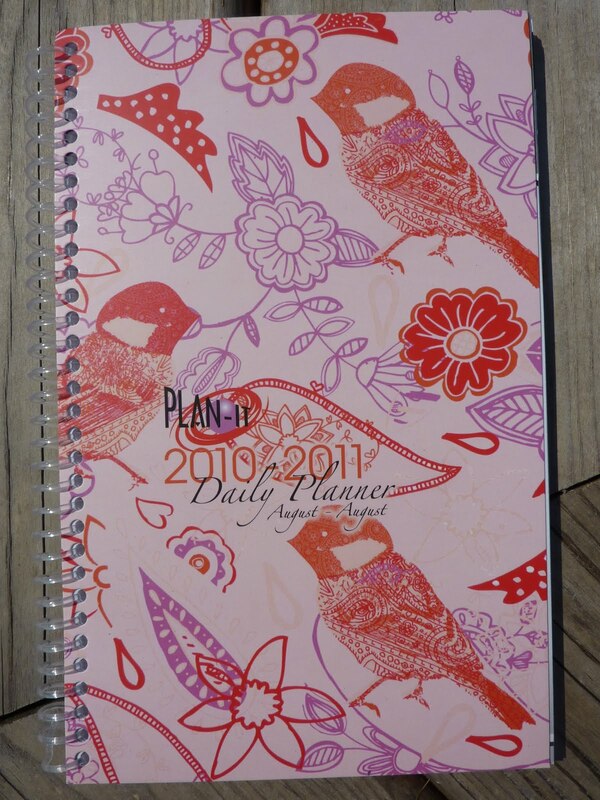 You can even use this section to track your FlyLady Zone Work. 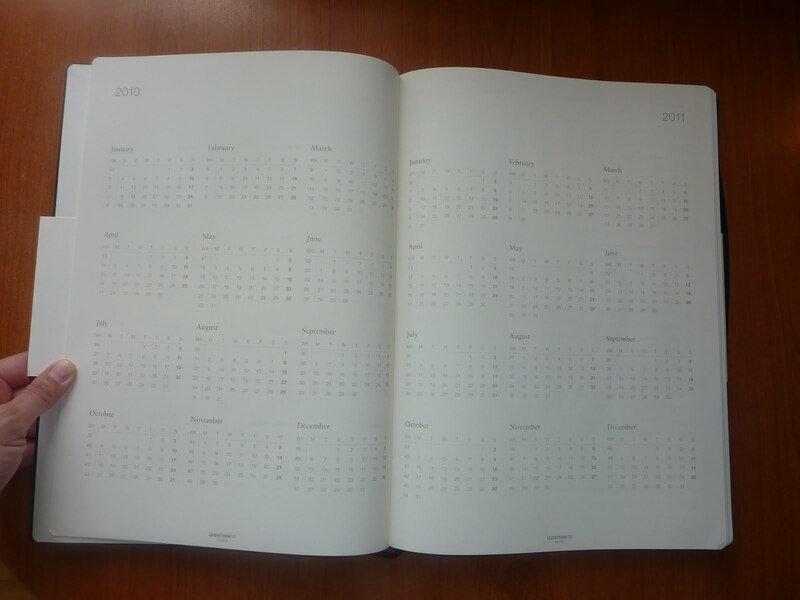 The middle section has your daily details for the current week. 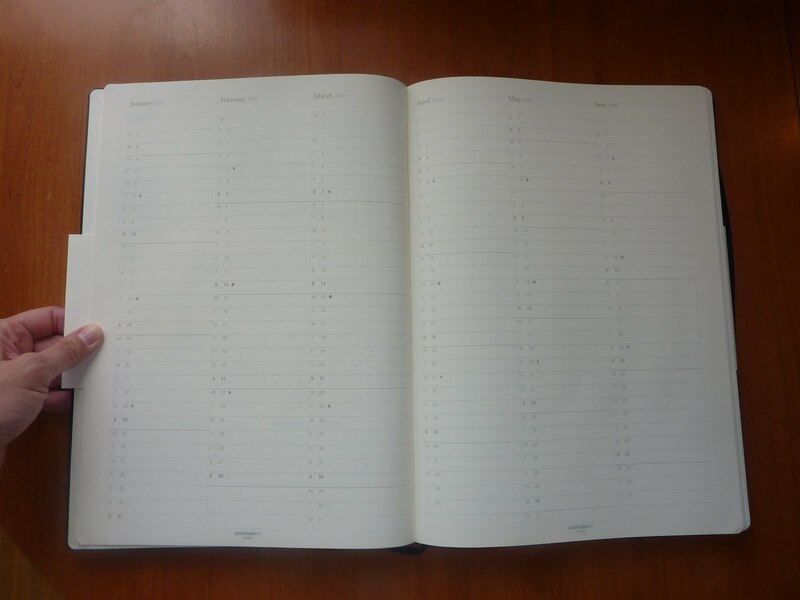 Along the top of the weekly page is a color code that matches where you are in the monthly calendar in the top section, to help you keep track of where you are in the month. This is where you write those events that happen every week: your Monday morning staff meeting. Your children's sports and dance practices. Your carpool schedule. Your Saturday morning pottery class. You can even remind yourself every week to put out the trash the night before trash pickup day. 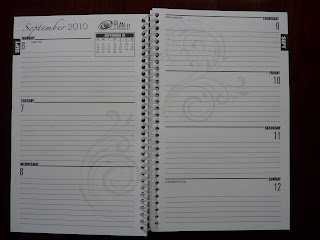 You write in all of those appointments and events that happen at a specific time every week. 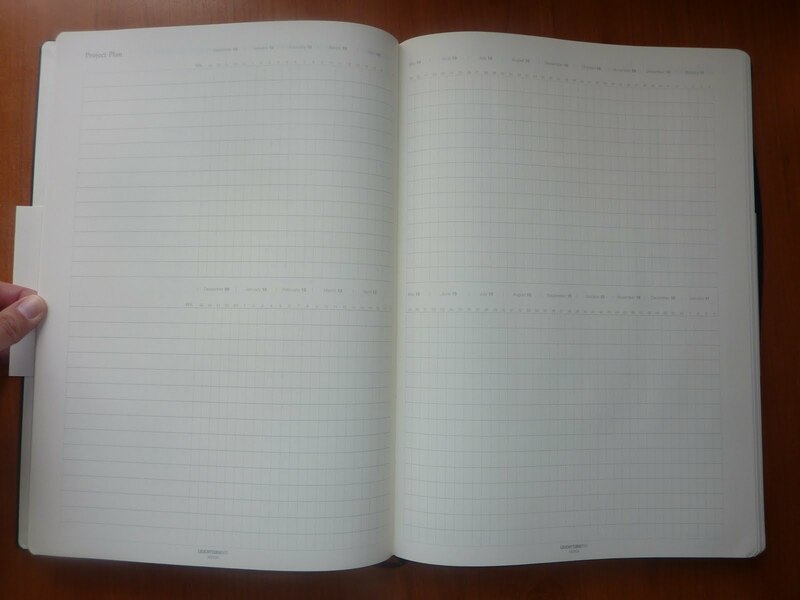 Then if the time or date changes, you erase it and change it to the new day or time, ONCE. 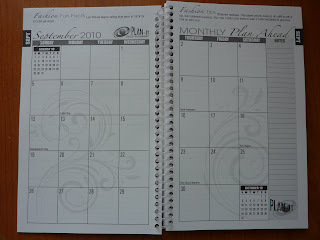 No more flipping through your planner changing dates and times every week! 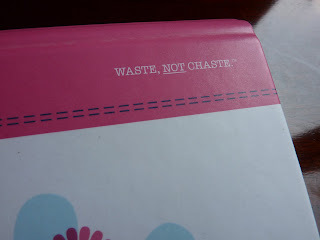 And, let's face it: every time that you have to re-write something is an opportunity for it to slip through the cracks. This eliminates that. 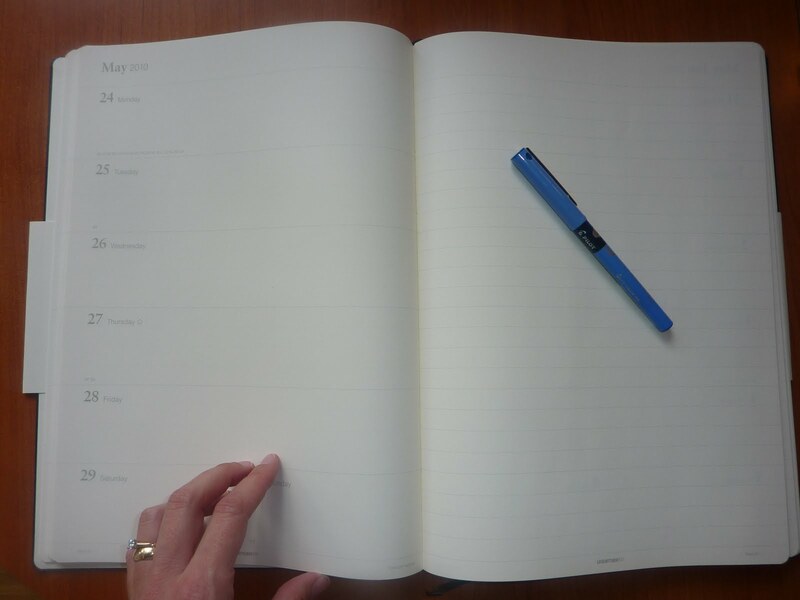 But you can even go beyond your weekly scheduled events and use this section for goals and reminders of what you WANT to accomplish. 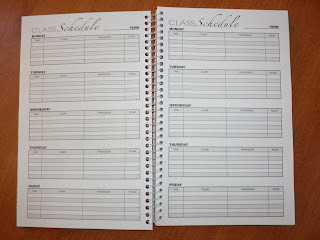 If you are working on an exercise program or are training for a race, you can write your weekly training schedule (once!). 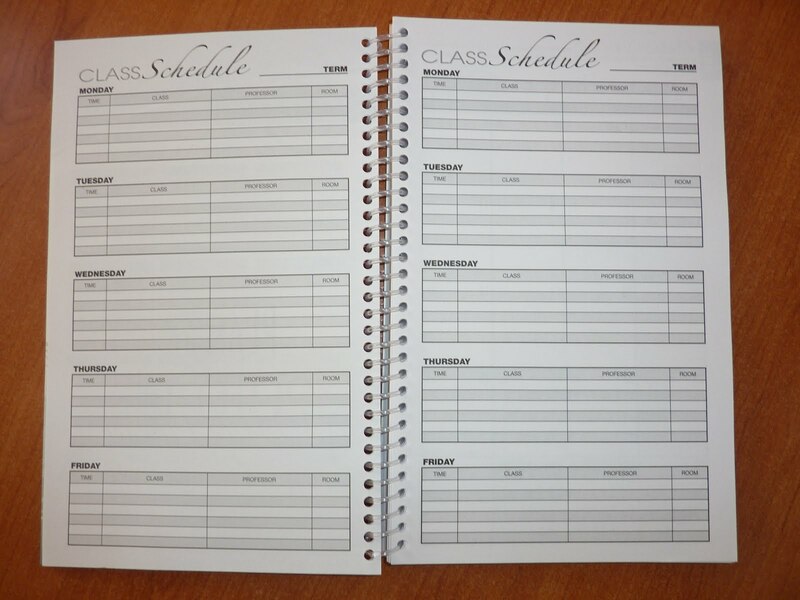 You can write two dinner menus at the bottom of each day and viola, there is a two-week rotating meal plan! No more wondering what to make for dinner. You can even remind yourself to call your Mom every Sunday. Once you have your monthly, weekly and daily specifics written in, you look all the way up and down each daily column to see what you have to do that day. 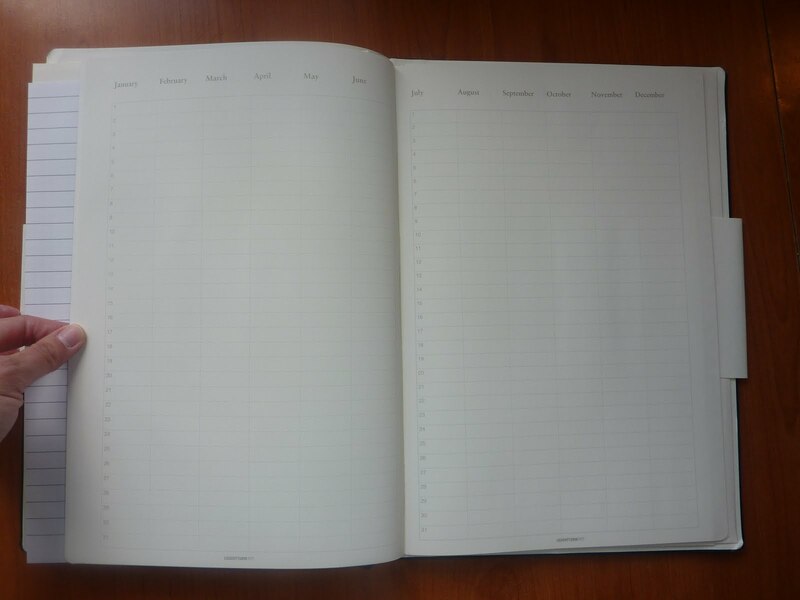 I can see how this would be extremely helpful for people who have a lot of recurring events and appointments. 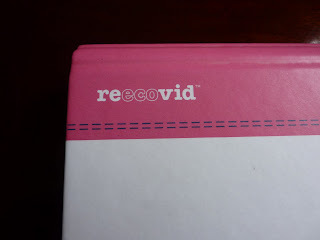 I know a huge benefit of electronic organizers is you don't have to re-write recurring events all the time. 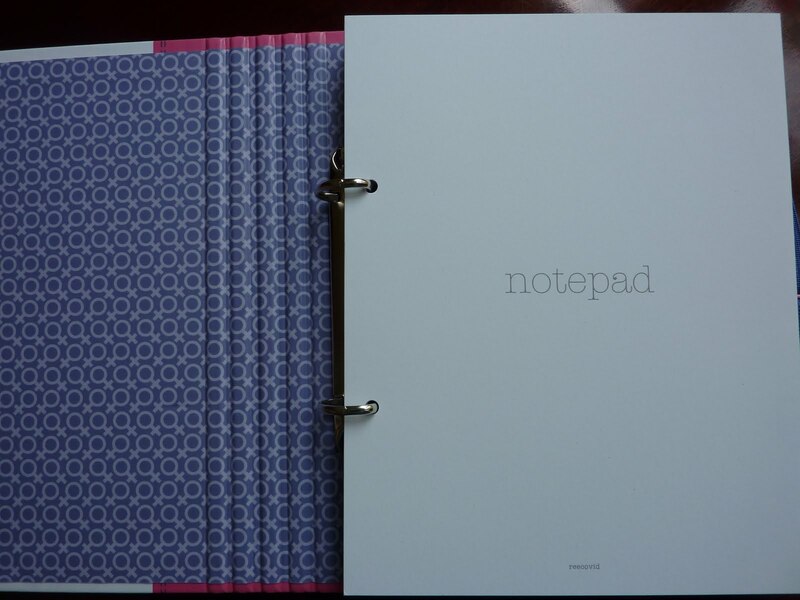 For those of us who love pencil and paper, this is a wonderful paper alternative to an electronic organizer. 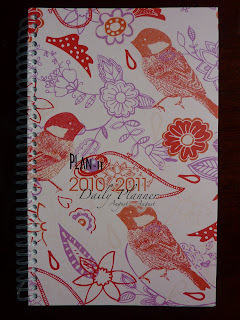 This organizer that I've featured is their weekly planner, which is now available for pre-sale for the 2011 version. If you are interested, I suggest you order yours soon because last year they sold out very quickly! The monthly wall calendar with the same "Write It Once" plan. 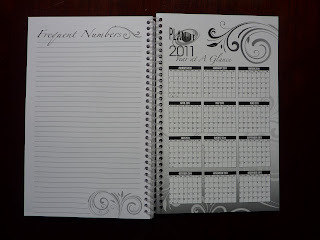 A dry-erase whiteboard version of the weekly planner, and the WeekDate Whenever undated version of the weekly planner. You can also download a July 2010-July 2011 dated WeekDate planner to print, cut and bind yourself. 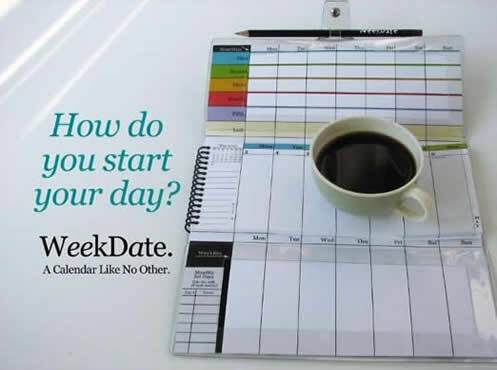 You can find WeekDate on Twitter (where you've probably seen me re-tweet their useful calendar reminders for each day of the week) and also on Facebook. Click here to see suggestions of how to use your WeekDate planner, and click here to learn more about WeekDate. 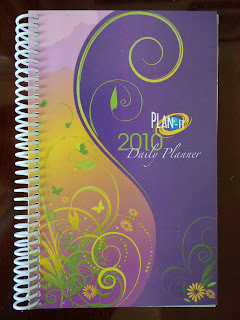 Philofaxy reader Greg (whom we all know and love as gregorym) emailed me recently asking my planner advice. 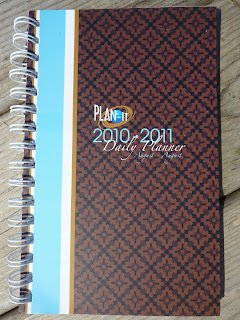 For a long time he has gone back and forth between Filofax and Franklin Covey ring-bound planner systems. 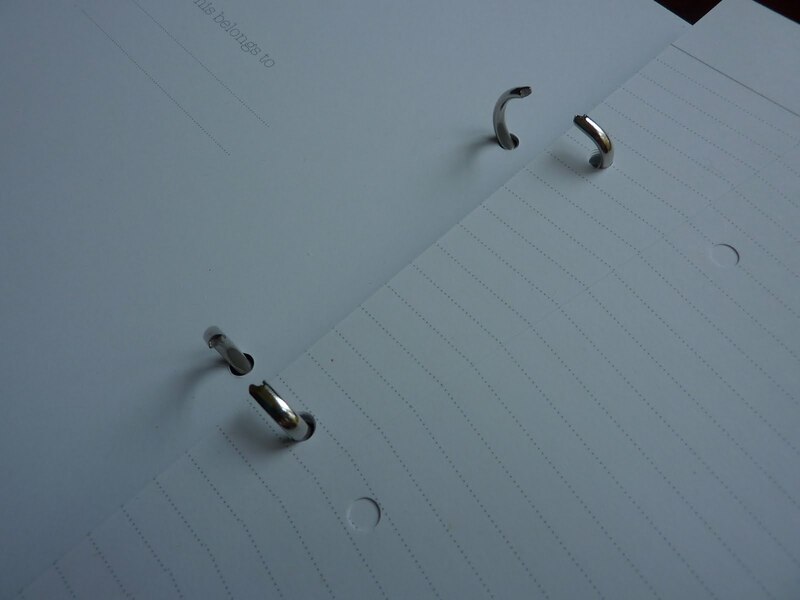 But he had the realization that he never opens the rings to move any pages around, so what was the point of a ring-bound system? 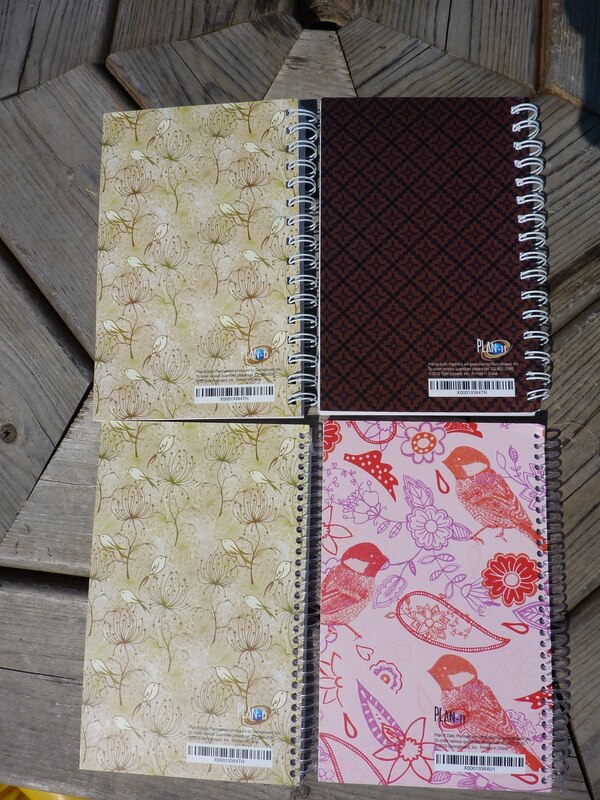 He wanted to try switching to a bound-book planner and asked for my suggestions. 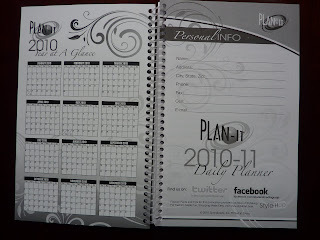 As we all know, I am always more than happy to provide planner suggestions!! 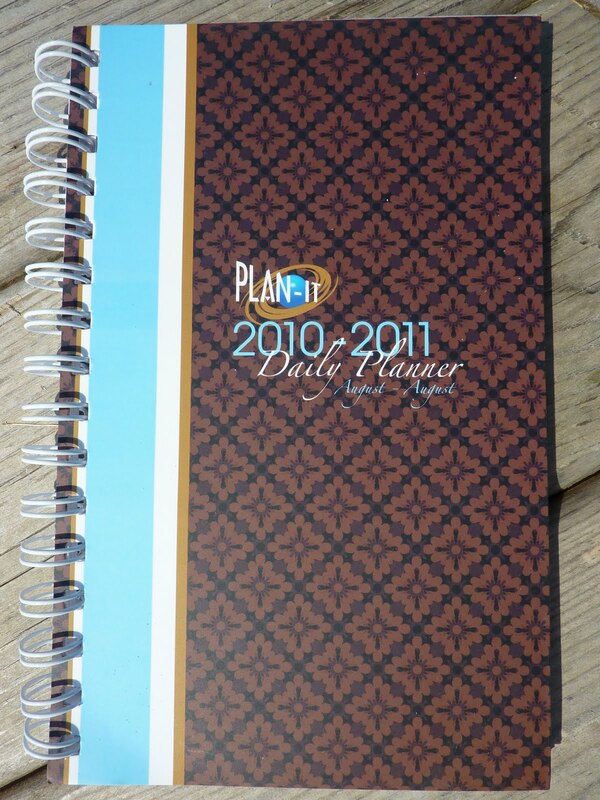 One of his criteria for a bound planner was that it must have a leather cover, sturdy and substantial, that would look good year after year of daily use. 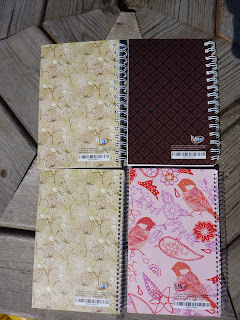 I offered a few suggestions of planners that have leather cover options. I also mentioned that he could get a Moleskine planner and have a custom leather cover made for it. I am extremely happy with my custom leather cover by Renaissance Art, and directed Greg to their website to check out their wide selection of leathers, colors and styles of Moleskine covers. When he told me he was looking for an Indiana Jones style leather cover, I knew he would love the Rustic Leather covers (which is what he ordered, with customization, in the photo at the top of this post). It turned out great! 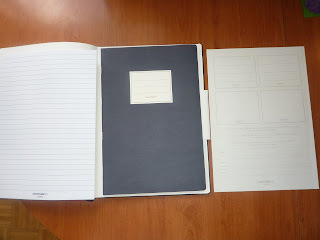 He also found a 2010 daily Moleskine planner still available online, for a great price, so he is able to start his new planner system immediately! Greg, congratulations on your handsome new Ren Art cover, and good luck with your new daily Moleskine system! Keep us updated as it progresses! 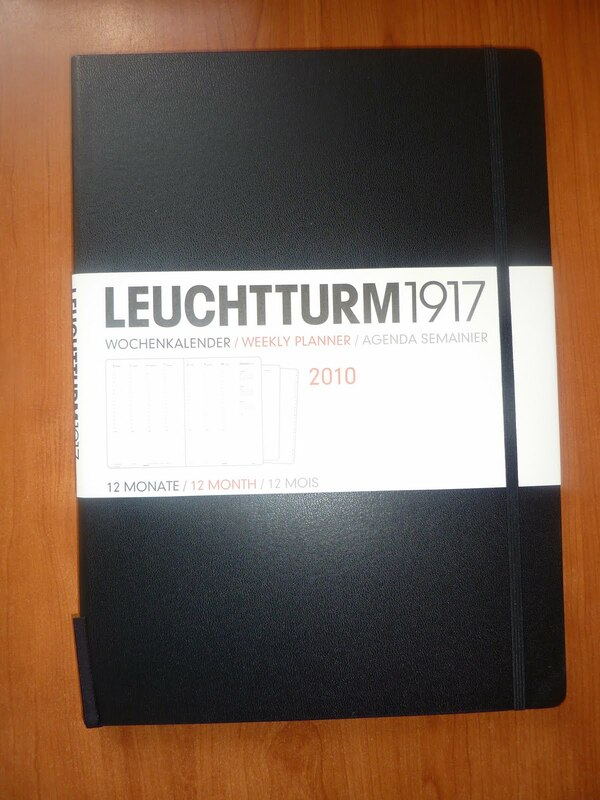 Leuchtturm 1917 very generously sent me two of their Master size weekly planners to review. 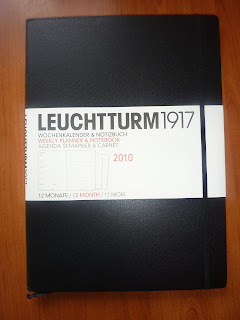 Thank you Leuchtturm! 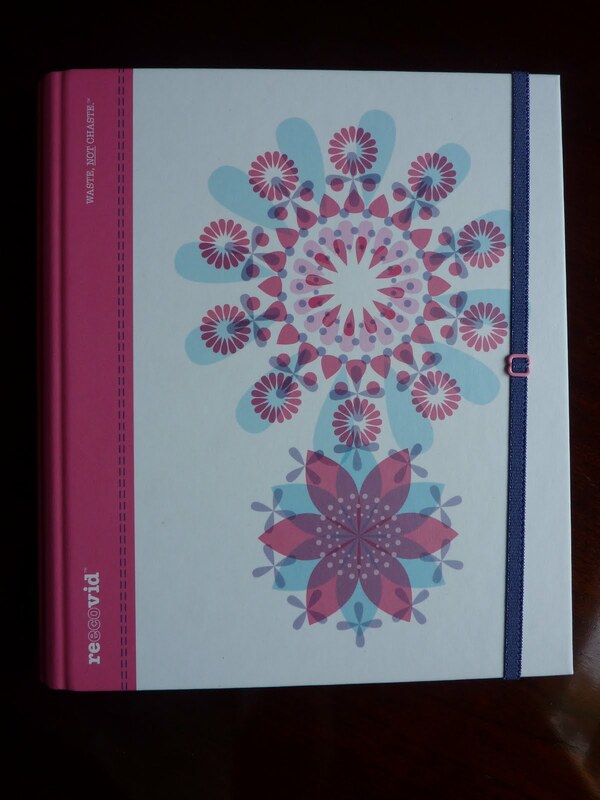 These planners are huge at 225 x 315 mm (approx 12 1/2 x 9 inches). 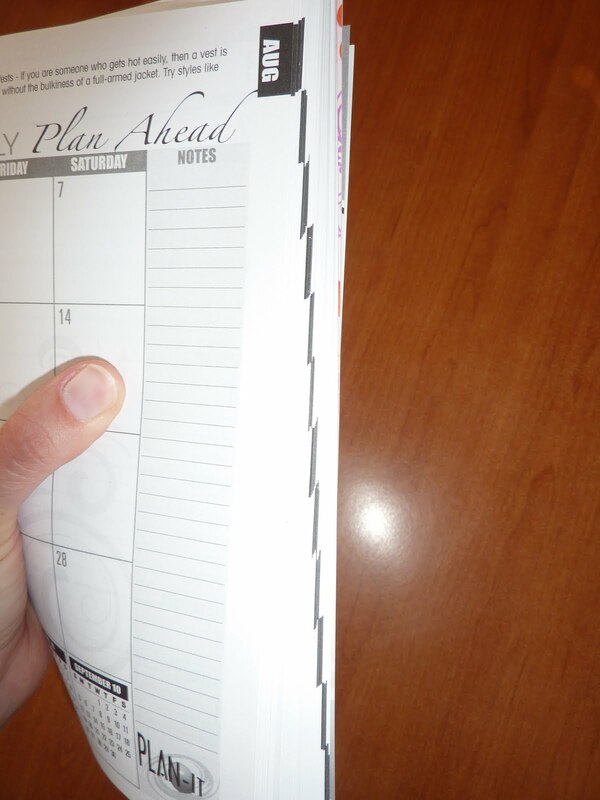 They are larger than A4 paper so that you can put A4 pages into them without folding or bending the papers. 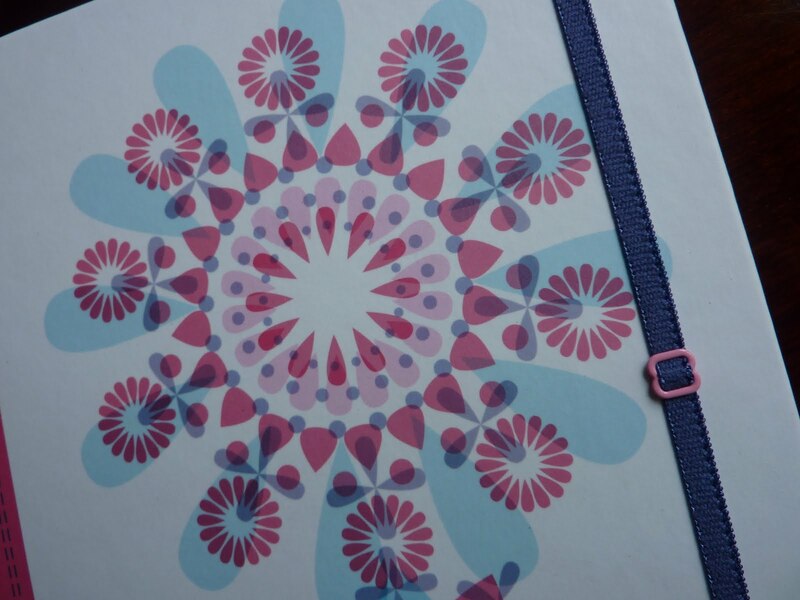 Obviously you won't be taking this planner around with you everywhere, but if you carry a laptop case or briefcase for work then it's entirely reasonable to fit one of these planners into your bag. They are excellent desk planners. 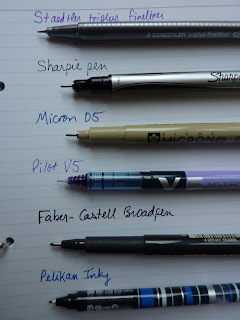 Notice my Pilot V5 pen for scale. 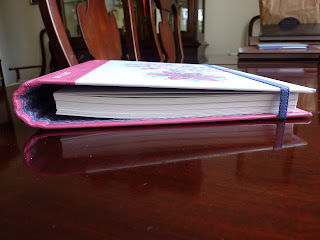 This book is huge! 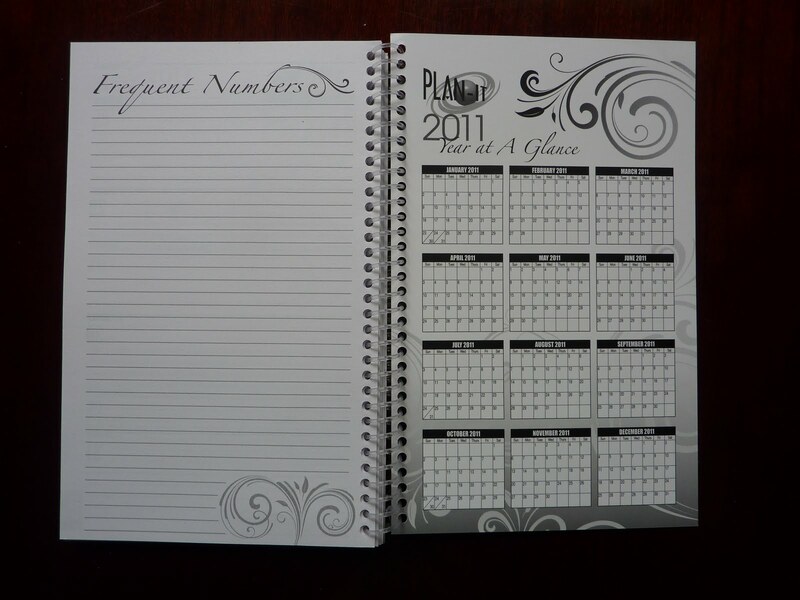 This would be excellent for someone who is very busy, or to schedule everyone in an office into the same book. Each daily column is timed from 7:00 to 22:00, and below each column is a large space for daily Notes. The 8th column has last-this-next months with the current week highlighted, and more space for notes below. 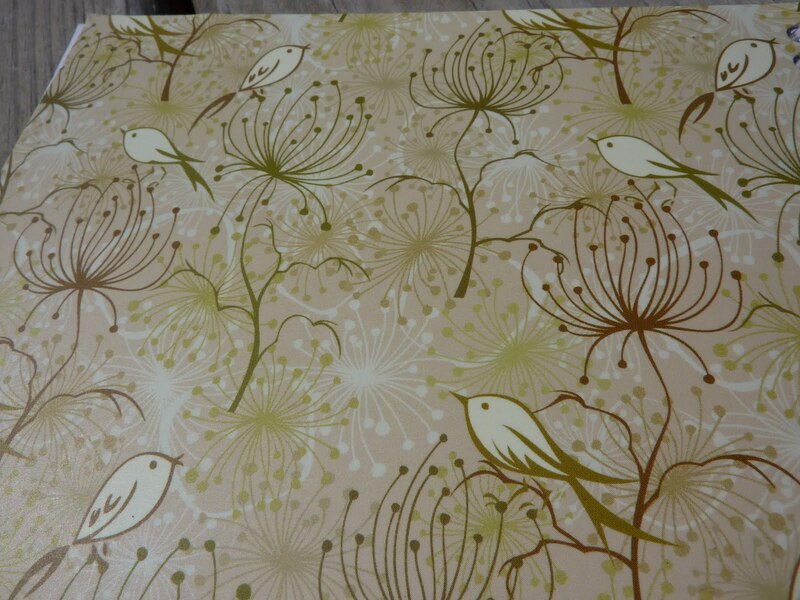 The print is faint and unobtrusive so your writing will really stand out. Holidays are indicated with the country abbreviations at the very bottom of each day's Notes space. Notice my pen again and my hand for scale. 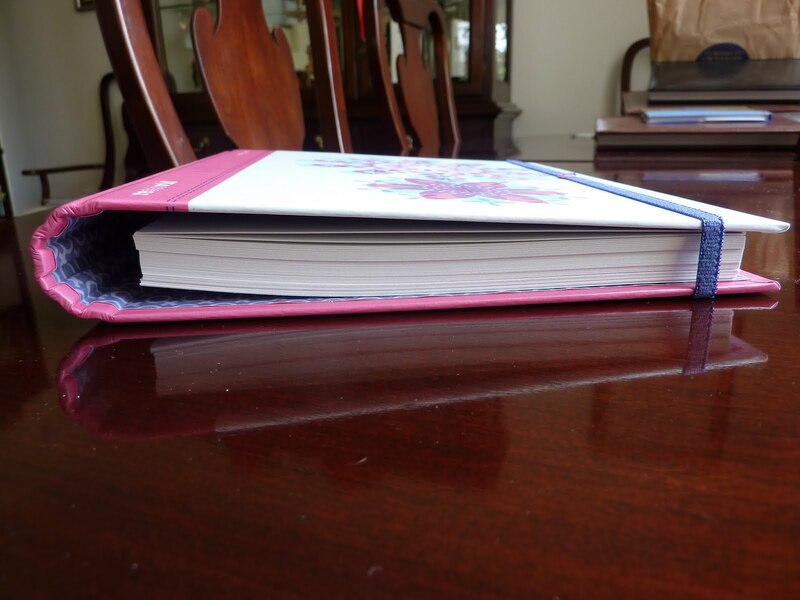 Everything on this weekly format is scaled up to the size of the book, giving it a very Alice In Wonderland feel: the print is larger, even the line spacing on the notes page is larger (the ruled lines are nearly half an inch apart!). 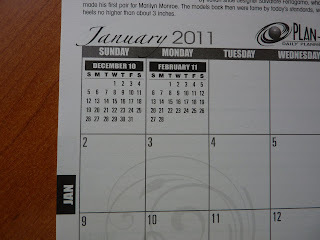 Holidays are indicated in each day's space with the country's abbreviation. 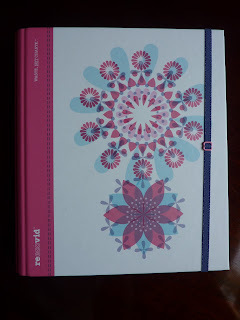 This again would be an excellent planner for someone who is very busy, and who also wants to take notes each week. 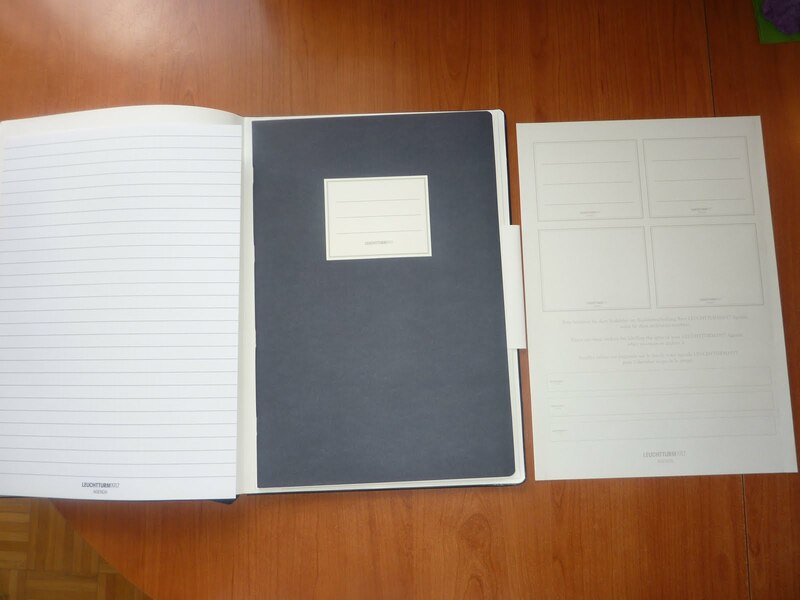 Both of these weekly formats have the same features: hard cover, ribbon placemarker, elastic strap, and pocket in the back. The planners are thread bound with acid-free paper. 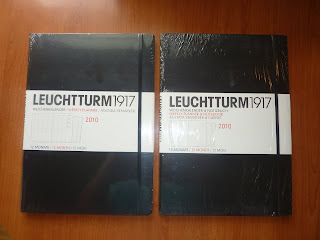 When the 2011 Master size Leuchhturm planners become available, you can find them at Journaling Arts for excellent prices. 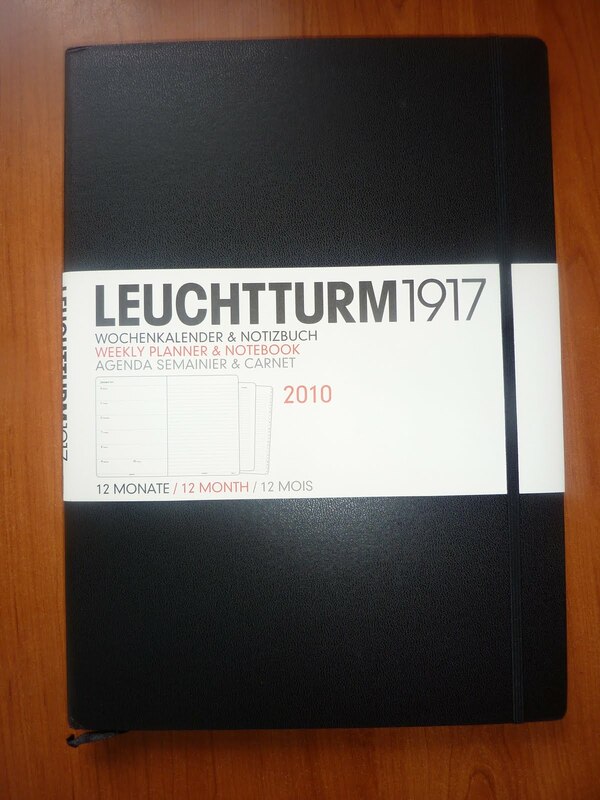 Many thanks again to Leuchtturm 1917 for sending me so many of their excellent products to review! 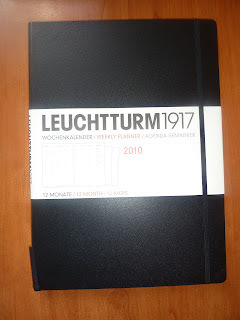 You can see all of my Leuchtturm reviews here.